Impact Academy - Our core team - Get to know our experts! Over the past 20 years, Zsolt has been accumulating experience in the non-profit field in diverse functions from volunteer to Director of Development, Board member and consultant at various organizations globally. Zsolt was elected an Echoing Green global Fellow in 2001. He has always enjoyed helping organizations figure out their organizational strategies, impact measurement as well as ‘package’ their projects in a form of successful grant applications. Gabor is an economist, coach and mediator, happy father of 4 boys. He has worked for almost 20 years in the financial sector, lastly as secretary general of the Hungarian Leasing Association. Six years ago he founded Civil Support Public Benefit Ltd, a strategy development and impact assessment agency focusing on purpose driven organisations, which become the first accredited B Corp in Hungary. In 2016 he founded Impact Accelerator, an advisor company developing investment readiness of purpose driven enterprises. Petra is an economist in environmental and regional development, she worked over the last years in the field of environmental protection and involved in foreign volunteering. By the end of her studies she became interested in social economy. She started researching the impact of Hungarian social enterprises and collected many experiences and important knowledge through the conversations and interviews with social entrepreneurs. Gábor is a researcher, sociologist, founder of HOLO, a research hub working with impact measurement. Since 1998 he does social sciences research and holds research methodology courses in higher education. He is a co-author of the book Research Methodology. He is a part of around forty Hungarian and international research program as a researcher or coordinator. He worked for almost ten years in the civil sector, as an assistant for research and organizational leader. Using this knowledge and experience, he supports the impact assessment of NGOs and the work of donor organizations by research and by education about benefits and opportunities of impact measurement. Juli Nyári has been working in the communication field for nearly 30 years. She started her career as a PR manager at Népszabadság. Since then she has tried many things, she was press agent, communication adviser and led her own PR agency for 11 years. Then she moved to the other side of the microphone and became a presenter, in which she fell in love. Training was also part of her life, as a trainer she prepared for a pitch, helped setting up communication strategies and planning campaigns for a large number of civil organizations and social enterprises. As a coach, she supports personal development and change. Economist, has been working as a management consultant since 2004. Between 2009-2016 he managed the nonprofit responsibility of IFUA Horváth & Partners (IFUA Nonprofit Partner), until SIMPACT was founded. He works with the development of non-profit organizations at an international level. Csaba was the co-leader of the team of CSR managers of KÖVET for 2 years. He is also the curator of two civil organizations and presbyter of the Gödöllő Reformed Church. He first met impact assessment on a training course in 2012, during a three-month nonprofit organization development study tour. Since then he has worked with this topic in a number of organizations at training courses (such as ERSTE SEEDS program, head of the program) and in several projects (Bagázs, MOL Foundation, ERSTE Foundation Roma Partnerships, etc.). Ashoka supports and connects leading social entrepreneurs. The organization has 3500 fellows across 90 countries world-wide, 36 of the fellows are from Hungary. 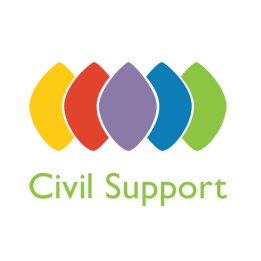 Civil Support Public Benefit Ltd. works on the development of social organizations and to build bridges between the civil and corporate sectors. Through the development of sectoral co-operation it works for the enhancement of social organizations’ impact. The first new-bank in Hungary, as a value-based bank, it is a community building financial institution, which aspires for active social participation together with its clients and consciously develops its environment. Open Society Foundations came to Hungary in 1984, in the last decades it provided financial support for a number of NGOs and social issues working to overcome the economic and social problems. THBE is a community of investors committed to contribute to positive social change. It works to stimulate the impact ecosystem and to increase the number of social impact investments by developing the sector through knowledge-sharing and professional networking events. Mprove develops digital educational content and tools tailored to the demands and needs of its customers, while develops its own e-learning content too on a variety of topics, such as Industry 4.0, IT Security, Online Communication, Digital Education Tools, Online Job Management. KPMG is an international auditor, tax and business consultant company. Through responsible corporate governance and alongside their clients KPMG is dedicated to think responsible, be sustainable and maximize the positive social and environmental impact. 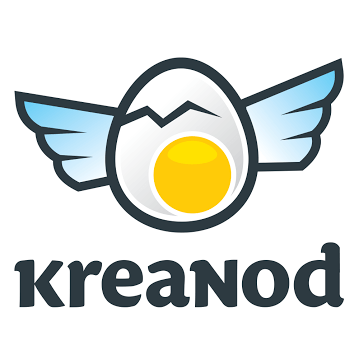 Kreanod is a creative open community dealing with creative tasks. In the spirit of crowdsourcing, Kreanod works with advertising and creative design, and operates as a new kind of working relationship between a community of creative professionals and their clients. 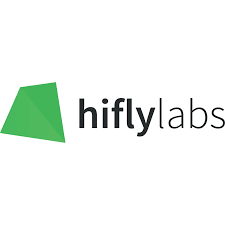 Hiflylabs deals with intelligence solutions, consulting and mobile development. In 2017 they were added to the list of the most dynamically growing Central European technology companies. Next9 is a think tank, a creative creative communication workshop where ideas are created that change the habits of consumers, partners, employers and employees. In addition to non-profit cultural and tourism projects, they are also working on digital solutions, classic strategic communication campaigns and plans answering to the 21st century challenges. SIMPACT makes non-profit and church organizations, social businesses, and their supporters more effective in Hungary and at an international level. With economists and sociologists in their team, they help their clients to maximize their social impact on strategy development, business planning, fundraising, impact measurement, CSR and more. Impact Design partners with mission-driven organisations to help them grow, expand their impact through design and communication. By using agile design techniques that put humans first, they help organisations grow in a sustainable way.